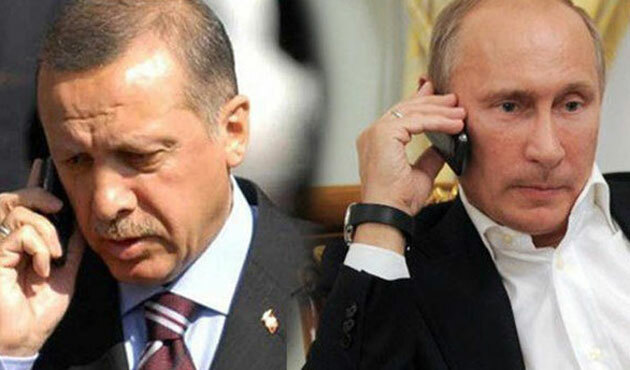 ISTANBUL: Turkish President Recep Tayyip Erdoğan and his Russian counterpart Vladimir Putin on Friday agreed in a telephonic conversation that Israeli-Palestinian conflict needs to be resolved, reports The Daily Sabah. Erdoğan thanked Putin for Russia’s support to the Jerusalem issue both at the United Nations Security Council and yesterday’s General Assembly, where 128 countries voted against US President Donald Trump’s decision to recognise the holy city as the Israeli capital. Erdoğan and Putin stressed that the US should stick to the UN resolution and international law in the matter of Jerusalem, as the city was of great significance to regional peace and stability. The ongoing Syrian crisis, bilateral relations and regional issues were also discussed during the phone call, presidential sources added. The two leaders agreed to stay in close contact regarding the cooperation of Turkey and Russia in the energy and defence sectors. The nonbinding resolution, sponsored by Turkey and Yemen, was approved Thursday by 128 countries with nine voting against. Apart from the US and Israel, seven nations opposed the motion, although 35 of the 193 UN member states abstained and 21 were absent from the vote. On Monday, the US vetoed a Security Council resolution backed by the 14 other council members, calling on Trump to reverse his Jerusalem declaration.